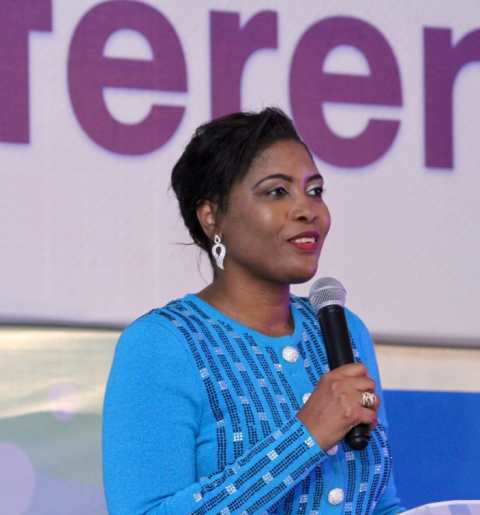 The 2018 Super Sessions began with the Esteemed Pastor Deola Phillips introducing the delegates to the BLW’s 3 Driving Forces Which Pastor Chris introduced during the Staff week. She explained that these three forces must be imbibed in anyone that wishes to be success in life . “They must be real to you and guide your actions and the things you do. When David met Goaliath, they Jews had covenant with Jehovah but only David acted differently and got different result. Same here, only Pastors that imbibe these forces will get required results”. Pastor Deola then used the life of Abraham to explain these forces in details. Exceptionalism, according to her, is the theory and idea that you are uniquely different, It connects the idea of supremacy to others. “You believe that what you hold dear is superior. It pushes you to leadership because your ideology is higher. You also believe that you don’t need to conform to the ideals of others, we’ve been called to the body of Christ in this concept”. She then reminded the Pastors that we have a message for the body of Christ and for the world, explaining that the work of God on earth for this this time depends on what we do with our exceptionalism. “Now the Lord had said unto Abram, Get thee out of thy country, and from thy kindred, and from thy father’s house, unto a land that I will shew thee: And I will make of thee a great nation, and I will bless thee, and make thy name great; and thou shalt be a blessing:” Genesis‬ ‭12:1-2‬ ‭KJV‬‬. Driving the point home, she explained that Abraham knew that he was called to bless the world and raise a nation that is different. She noted that later on, the Lord extended that vision and told him that everyone from him will be a king, that they shall reign in life. “This is talking about us. We are called to bless the world. We are a blessing to the world. All we know is a life of giving. The source of giving will never run dry. Wherever you find yourself, you’re called to show others the way. Our message, calling, operations are different”. 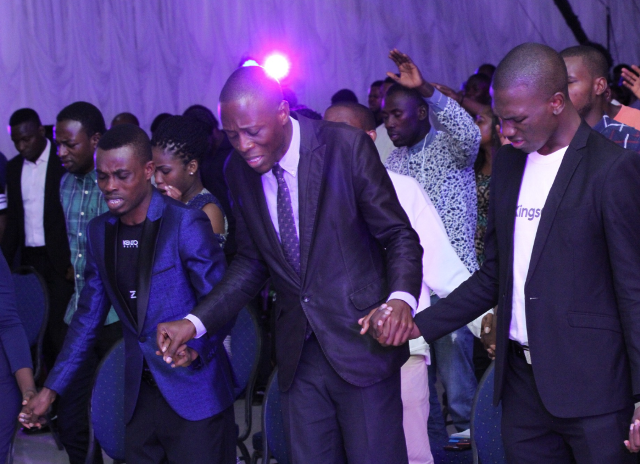 Dwelling on the topic of Expansionism, Pastor Deola described it to mean expanding our reach and influence through the the relentless spreading of our message through all available means. “And the Lord said unto Abram, after that Lot was separated from him, Lift up now thine eyes, and look from the place where thou art northward, and southward, and eastward, and westward: For all the land which thou seest, to thee will I give it, and to thy seed for ever. And I will make thy seed as the dust of the earth: so that if a man can number the dust of the earth, then shall thy seed also be numbered. Arise, walk through the land in the length of it and in the breadth of it; for I will give it unto thee.” Genesis‬ ‭13:14-17. “We’re building networks. Be involved is part of the expansion vision. Plan with the city, the vision will produce the people. They will come to be part of it. Say I’m spreading”. The atmosphere was already charged when Pastor Deola launched into the third force of BLW Perfectionism which she explained means the idea and disposition to regard anything short of perfection as unacceptable in manner of life, product and service delivery. “And when Abram was ninety years old and nine, the Lord appeared to Abram, and said unto him, I am the Almighty God; walk before me, and be thou perfect.” Genesis‬ ‭17:1‬ ‭KJV‬‬. She told the delegates to understand the doctrine of righteousness that manifest itself in what we do. As she explained, they are the out working of our inner righteousness and manifests in several things. Everything you do should be perfect and excellent. He’s called us to virtue and perfection. Accurate, excellent, balance, justice and fairness in dealing with people, these are part of perfectionalism. Practice your righteousness by your perfectionism. Excellence in whatever you do. You stir it up within you. In rounding up, she advised the Pastors and her listeners to be the best wherever they are and whatever they do. “God deserves the very best, not just your best. He’s the King of kings”.